It has been almost six months since I began my weight-loss journey, and I am pleased to announce that I now fit in the majority of my pre-pregnancy pants. In all honesty, I am no longer as stickler about what I eat as much as I was during the beginning of this whole process, but I have continued to be aware of the portion sizes that I eat, and rarely go in for seconds. The Little Boy sneaked in on some photos. I uploaded a new profile photo on Facebook yesterday, and, as I looked through some of my previous profile photos, I noticed how much weight I have actually lost. It's funny, because I didn't realise what I really looked like. 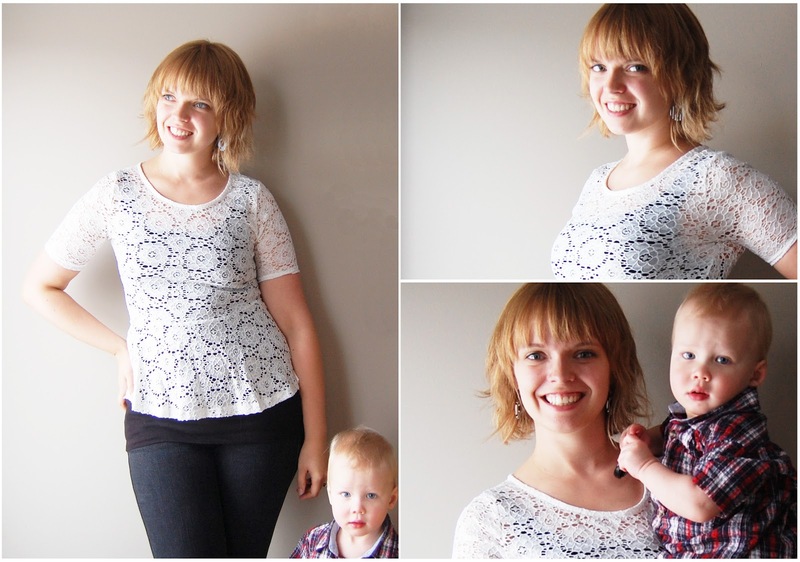 I felt just as thin as I had been before the pregnancy, and it wasn't until I started looking at old photographs that I figured out that I looked a lot larger than I actually felt. While there are still some days where I struggle with body image, I know that I am much healthier at the 126lbs that I now weigh. I have a little way to go to fit into the last pair of pre-pregnancy pants, but I feel fantastic, and I now have this former body to look back at to remind myself of where I came from and what I have accomplished.